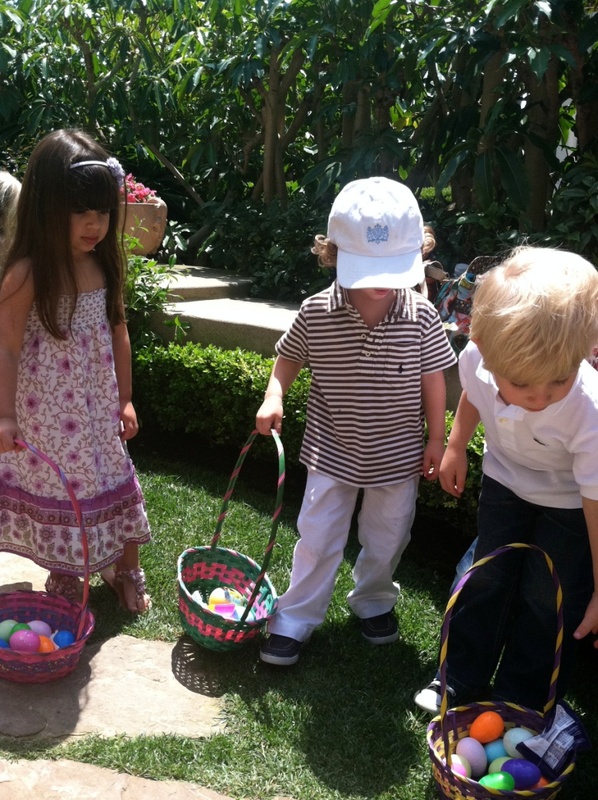 NEW KDHamptons Entertaining Diary: Party Pix From Lara Shriftman's Adorable Easter Egg Hunt & Lucheon! 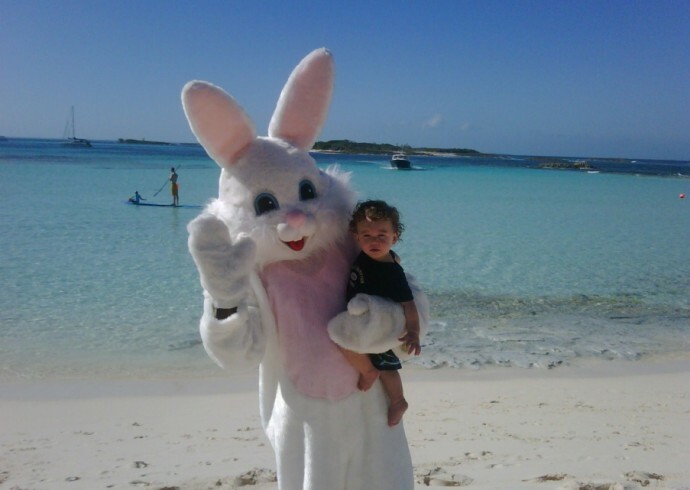 Island Hopping: Lucas met the Easter Bunny at 6 months old in the Bahamas! 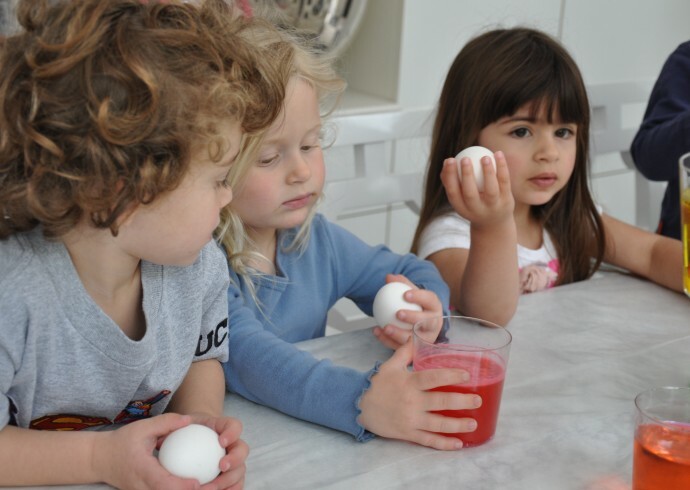 Nobody knows how to throw a party like KDHamptons Contributing Entertaining & Etiquette expert, Lara Shriftman [co-founder of PR, events planning, and marketing agency, Harrison & Shriftman]. In addition to helping build brands such as Jimmy Choo and Juicy Couture, Lara has written four books on entertaining, including Fête Accompli and Party Confidential, and launched a line of party-ready tableware on HSN. 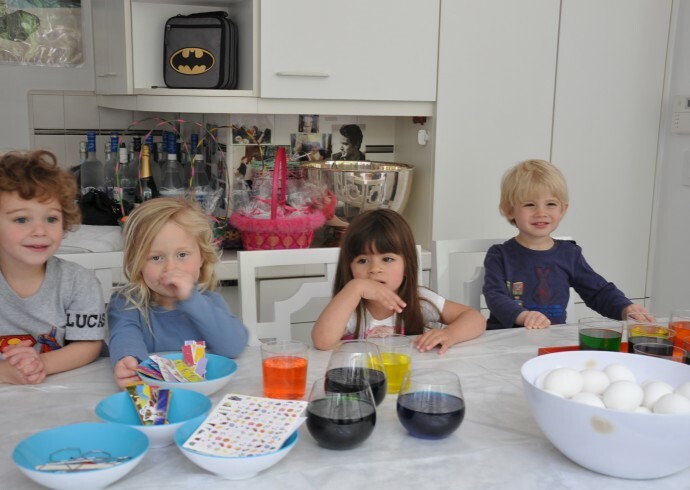 Lara shares: “We had our Easter party early this year because a lot of the kids have family plans on Easter day. 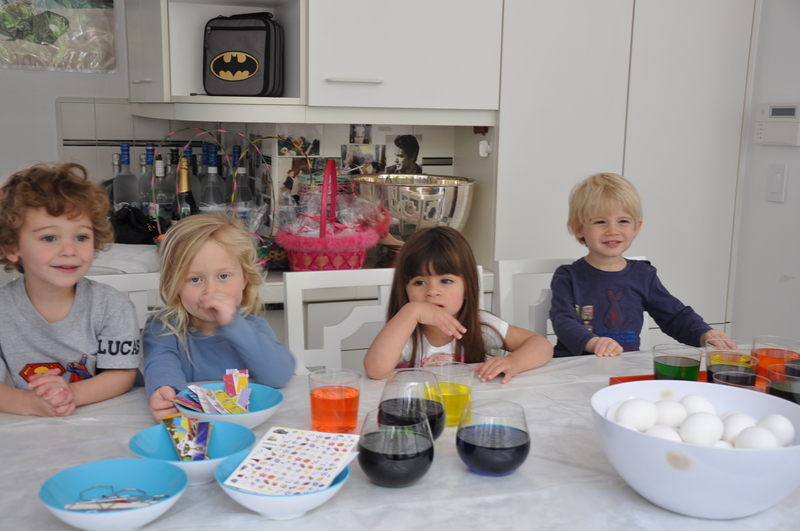 First, Lucas had all the kids come over to our home to dye and decorate the Easter eggs. 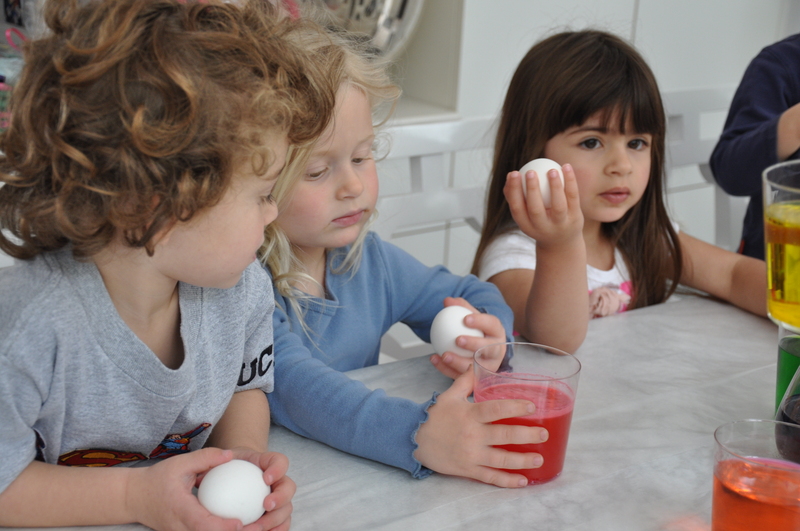 We boiled the eggs ahead of time and set up different bowls, each with a different color dye. We gave everybody smocks, and we covered the counter so mom’s new kitchen could not be splattered with paint. Tip: Place a clear plastic cover over table top before painting. Et Voila! 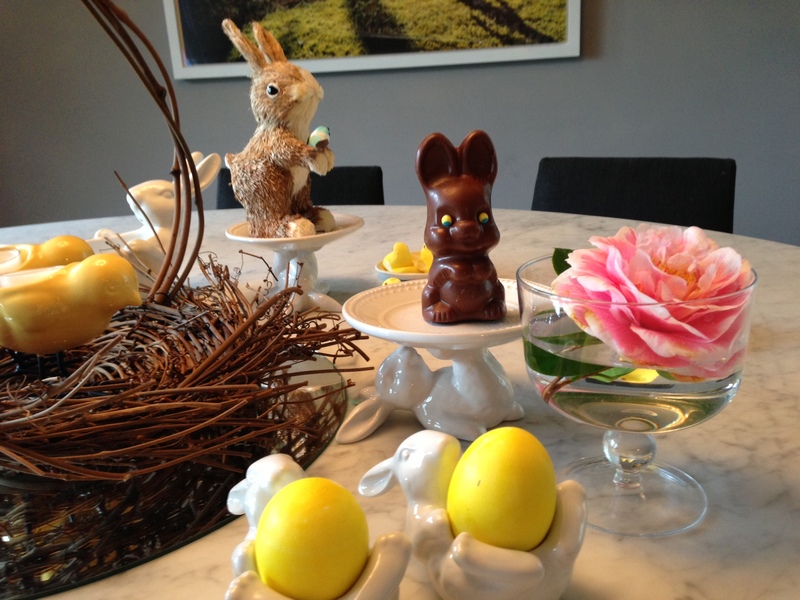 My Easter themed tabletop decor for Lucas' luncheon. 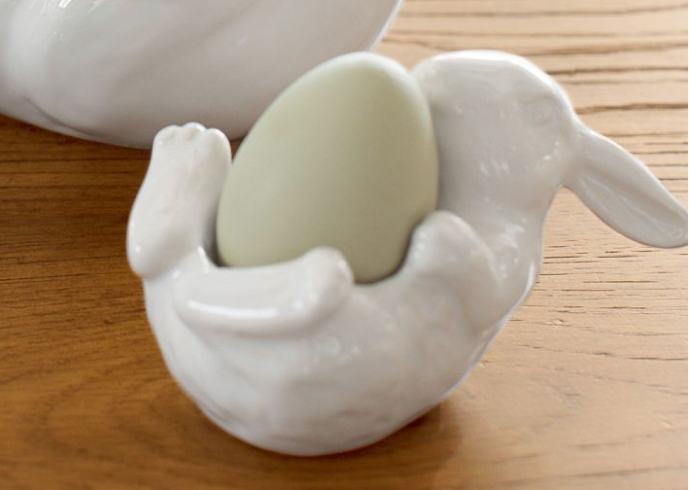 First we saw these really cute, ivory single-egg cup holders in the shape of a bunny [below], which you can fill with white votive candles or candy. 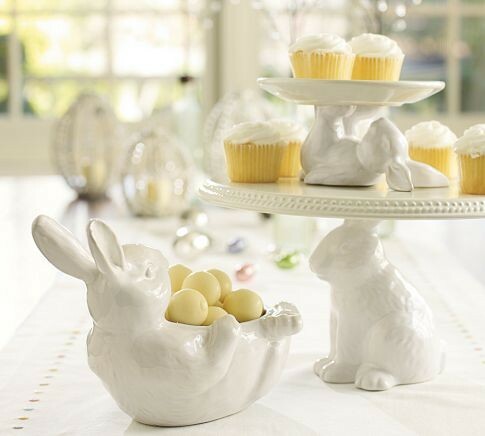 The holders perfectly matched the amazing tiered cupcake holders featuring a similar bunny. What was great about the cupcake holder was that you can put it on top of any plate. That, paired with the little yellow chick egg cups helped create height on the table. 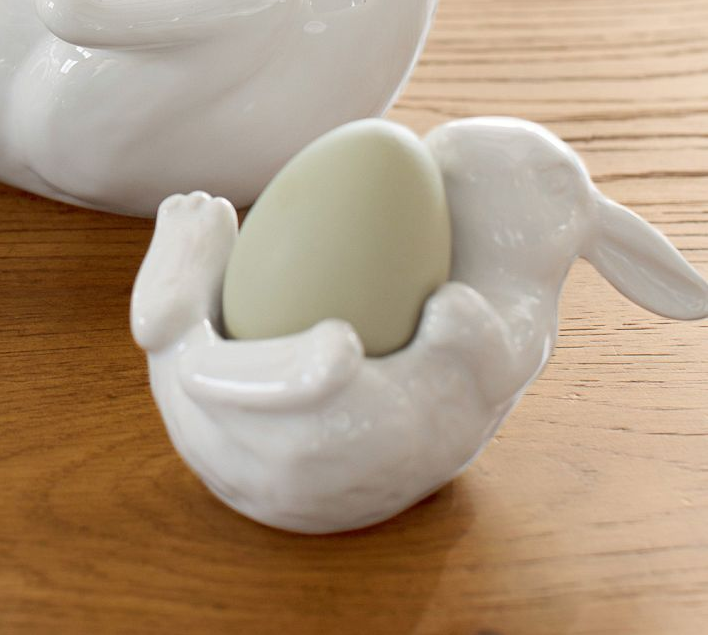 Potter Barn cupcake plates and egg holders. 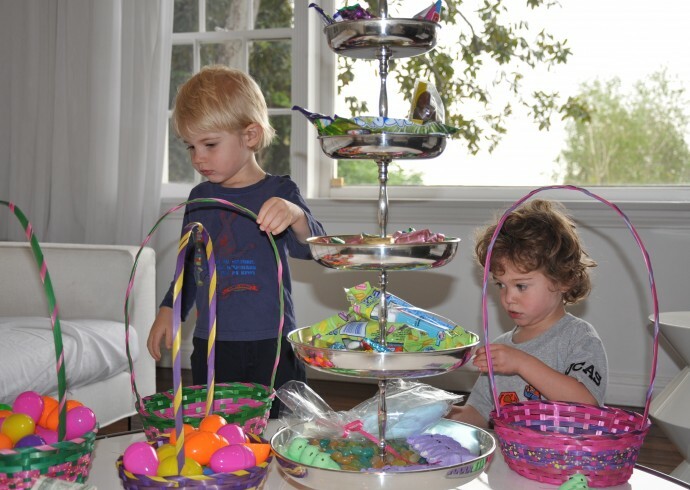 My centerpiece was a basket in the shape of a nest, so I put two of the egg holders in the basket, in addition to eggs decorated with our initials and tied with a piece of ribbon. 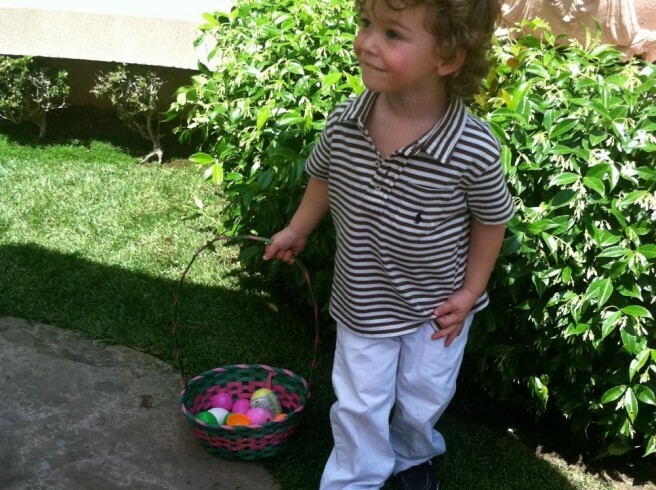 On the bottom of the basket, I put moss for a touch of green. 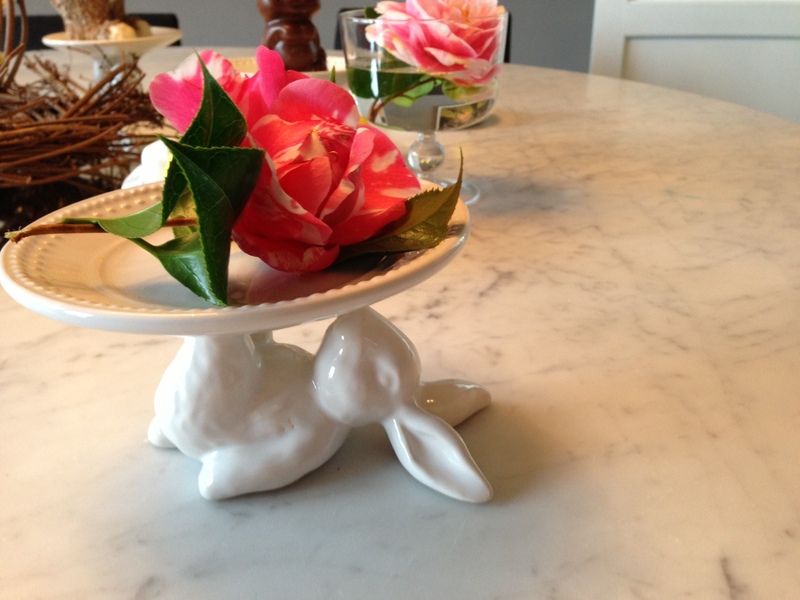 I picked a few pink flowers from our garden to add to the pastel color scheme [below]. 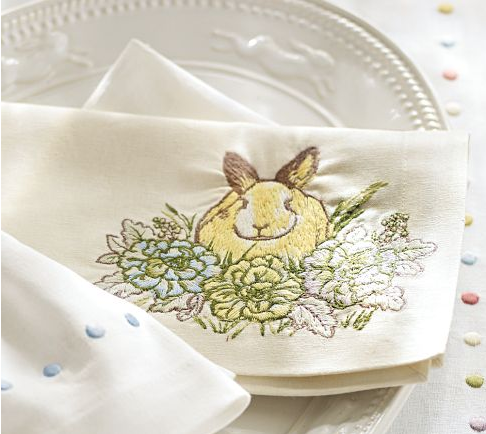 In playing with the Easter theme, we got cute embroidered bunny napkins, again from Pottery Barn, and also bought a bunny candy dish, which we filled with solid colored Cadbury Eggs – Lucas’ favorite candy. 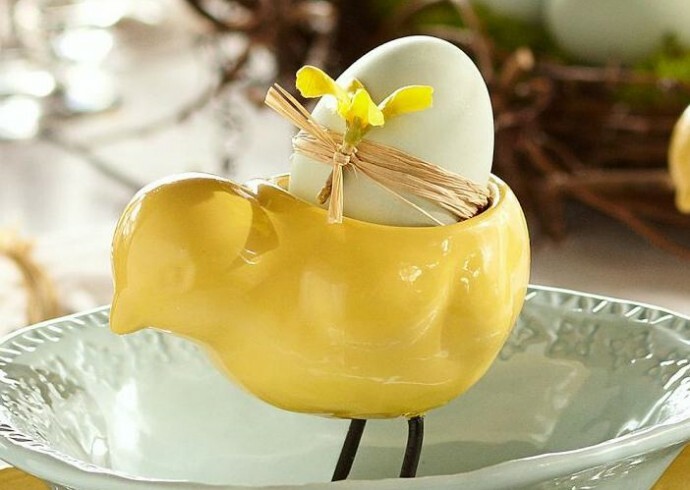 Candy is a big part of Easter décor, and in general is an easy, quick and inexpensive way to decorate. 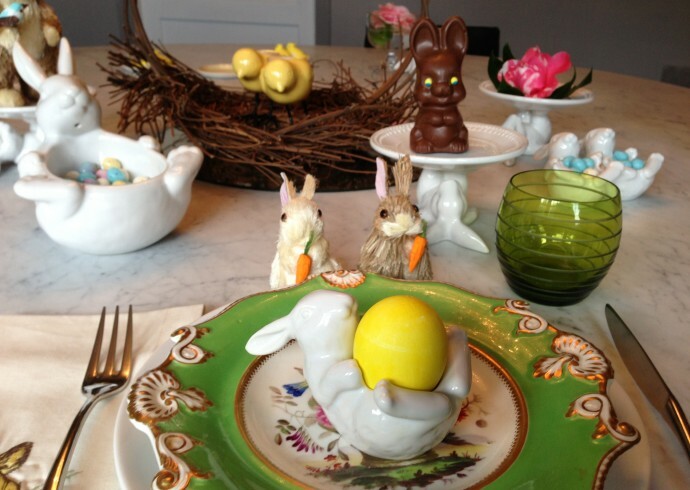 Cadbury Eggs and Peeps are amazing seasonal items to use [below]. 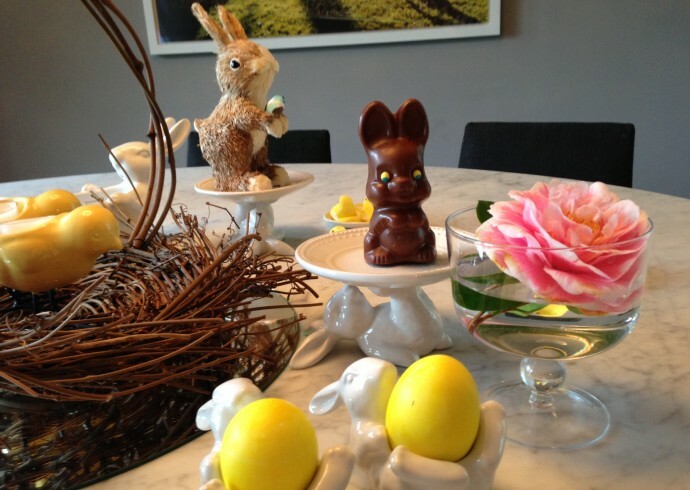 This year, they had sugar-free yellow duck peeps, which I found in packs of three. 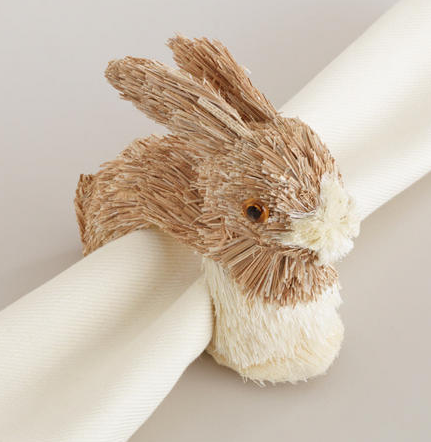 I searched for Easter décor on my computer, and when I found some great things at World Market, I decided to pop in there. 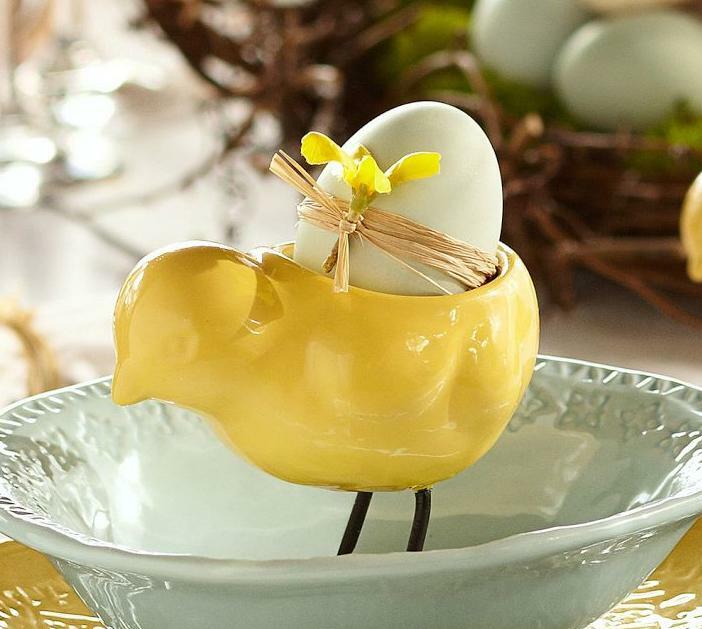 Aside from having the greatest selection of candy, I bought little wicker bunnies for the centerpiece, matching napkins holders [both below] and a tiered egg holder that went with my Pottery Barn purchases. The overall look was very organic. 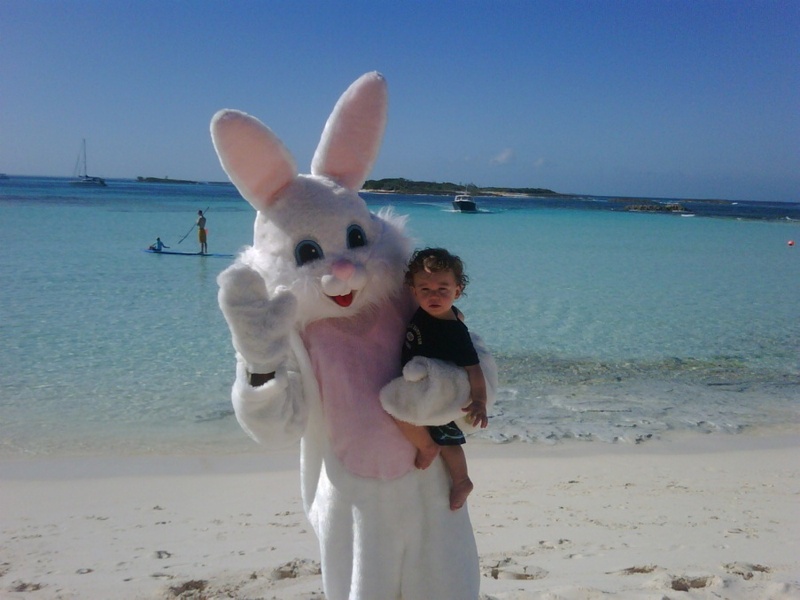 From Party City, we got a cute, happy Easter sign that was kind of sparkly, which we hung on the front door. 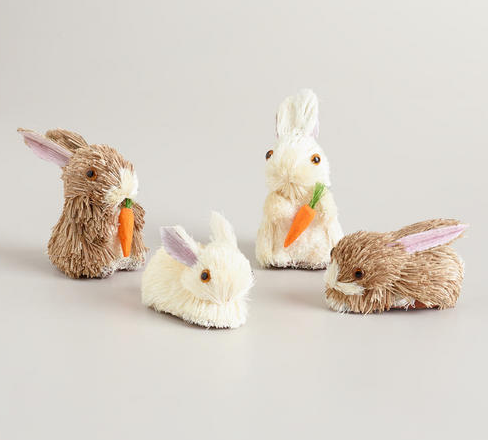 Then at Target, they have cute cupcake decorating kits from Wilchin where you can take any cupcake and decorate it into a bunny or chick. These places, along with the Dollar Store, are great resources for the odd and end décor such as party bags. 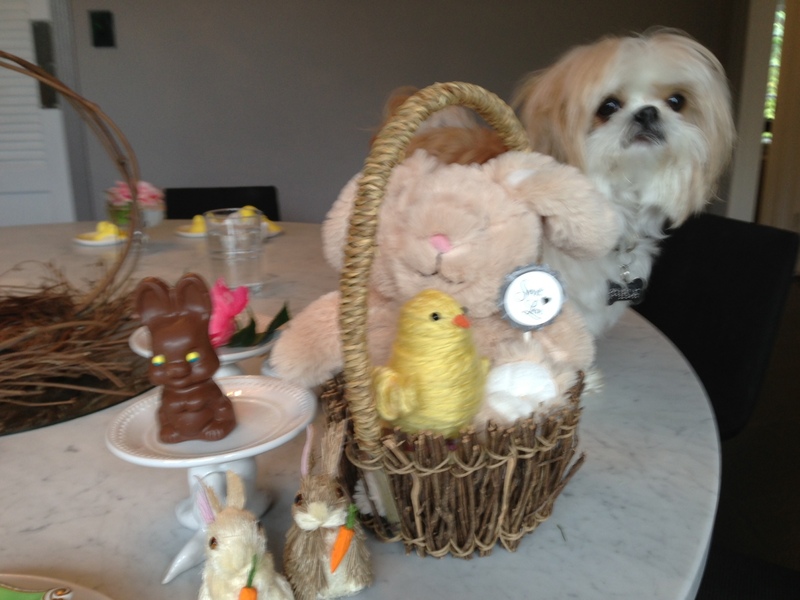 Lulu Flynn checks out the Easter animals. We put an Easter basket on the table with cute stuffed animals [above], which were a prize for the child who decorated the prettiest egg! 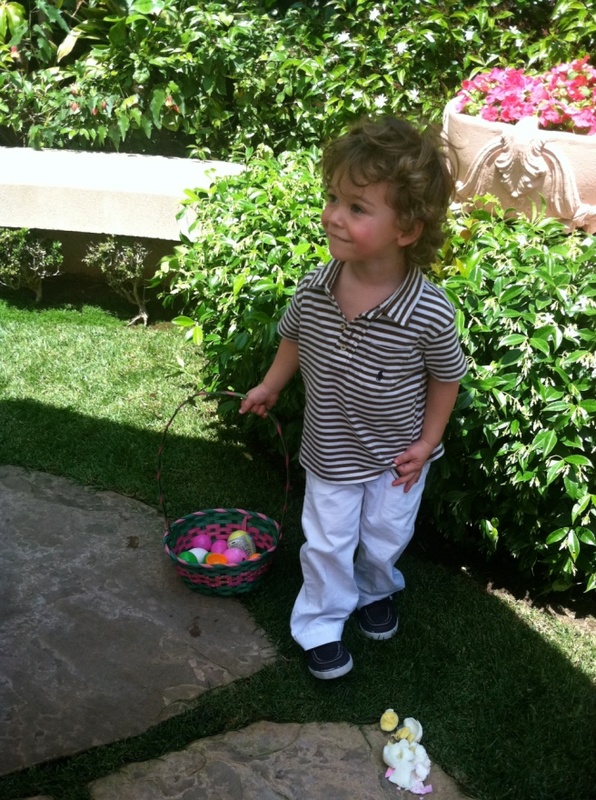 The day of the party we served lunch and then the Easter egg hunt was ON! 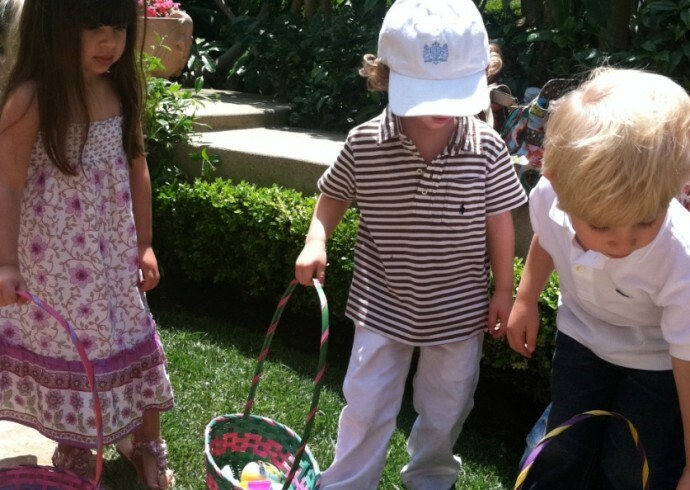 All the kids were given baskets with grass, and went searching for the hidden eggs filled with candy. 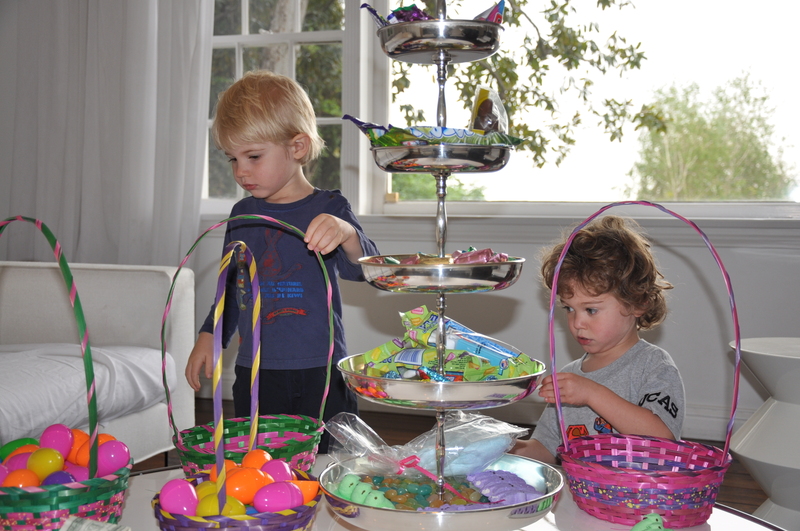 As everybody left, the kids got a big chocolate Easter bunny and all the moms got bunny ears to remember the day….